Students traveled near and far this summer, continent hopping and culturally submerging themselves for their summer programs. Their experiences spanned the spectrum from outreach programs to foreign language and cultural immersion. 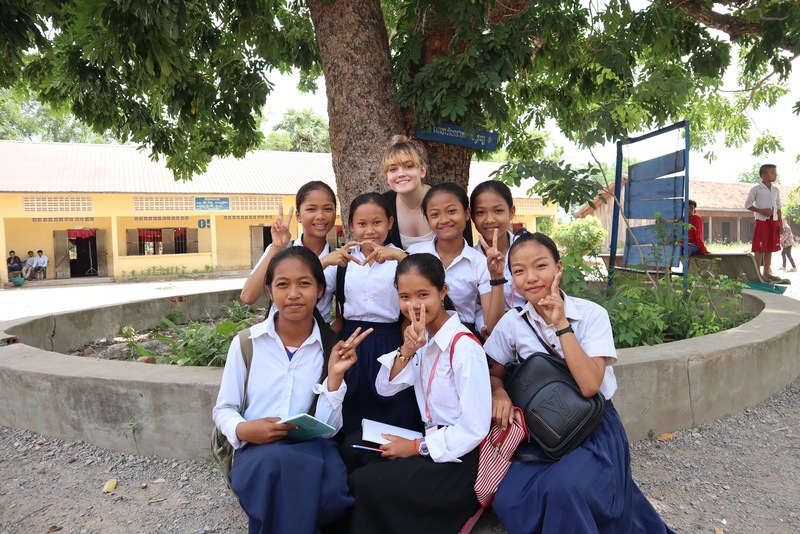 On a trip organized by TASSEL, sophomore Claire Tyler traveled to Cambodia with four other Heritage students to volunteer and do community outreach. They learned about Cambodian history and received training so they could teach English to children in the areas around Battambang. 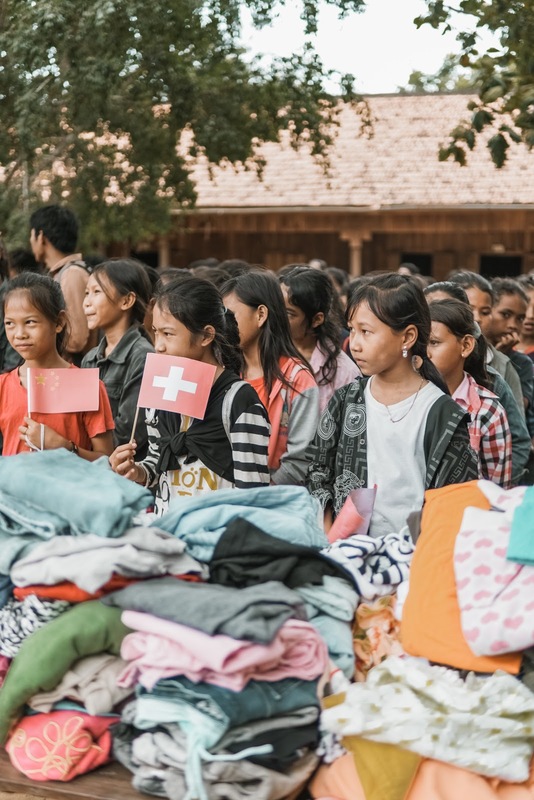 “We taught rural children English [and] provided food, medical aid and emotional care to respond to the pervasive traumas Cambodians suffer from,” Tyler said. Among these traumas are the long-term effects of the Cambodian genocide, which took place from 1975 to 1979. According to the organization United to End Genocide, a communist power in Cambodia known as Khmer Rouge sent millions of Cambodians to labor camps, resulting in the deaths of an estimated 1.7 to 2 million people. Her group learned about this genocide, but then witnessed the impact it had on Cambodia first hand. “While visiting the families, they talked about their hardships with the Khmer Rouge, illness and poverty,” Tyler said. The impact of the trip will remain with Tyler for years to come. “We not only learned how to teach these kids, but how to love them,” Tyler said. “We knew going into the classrooms that most kids didn’t come to school with full stomachs or clean clothes. TASSEL taught us that we need to give these kids as much love as possible, to make them encouraged to better their futures, as doctors, or lawyers or even politicians.” She pledged to work with TASSEL as long as possible and aid in their mission. “We form bonds with the kids that run up to us when we arrive at their school, and with the kids that grab our hands, and then shirts if too many kids are holding your arms. It makes us return every year to see the kids we once taught,” Tyler said. Other students stayed closer to home, such as junior Harrison Krimsky, who chose to go to the Summer Media Institute hosted by the University of Florida in Gainesville. He studied sports broadcasting during his time at UF, a field he may decide to pursue as a career in the future. “The highlight of my time there was meeting new people and actually getting to make my own projects, work and overall gain real life experiences of the work that I could be doing,” Krimsky said. Despite not being very well-versed in the field he chose to study prior to attending UF, the program helped him adjust quickly. “They kind of threw you in the deep end, from cameras to editing to actually being a reporter,” Krimsky explained. For many students, summer programs present the opportunity to test the waters regarding possible career and life paths. Such was the case for Krimsky, who wanted to test his interest in sports journalism. Similar to Tyler, senior Sofia Godoy immersed herself in a language and cultural experience, although she learned a language instead of taught it. She participated the NSLI-Y program, which is a project funded by the State Department that gives students the opportunity to study what it terms “critical languages.” Godoy studied Arabic primarily in Rabat, Morocco. Although accustomed to the way of life in the U.S., Godoy adapted to Morocco’s cultural differences. “In Morocco, society is far more family-centered and collectivist than in America. This notion of family and togetherness is woven deep into the fabric of Morocco. 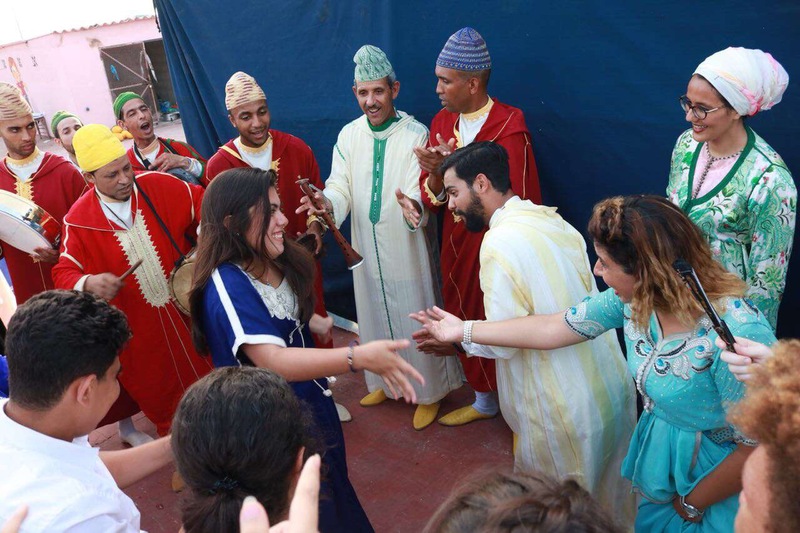 Little things like greeting everyone, even a foreign stranger like me, with a great deal of affection, calling fellow civilians “brother” and “friend” all the time … encapsulate this aspect of Moroccan culture,” Godoy explained. While living in Morocco, Godoy ventured outside her comfort zone more so than she was used to. Godoy said she hopes to pursue a future involved in encouraging a more peaceful world, and this experience showed her the truth of “inherent biases and cultural lens that we are all limited by as we interact with other cultures or ethnicities.” Armed with these lessons and increased faith in her abilities, Godoy can perceive and process the world around her with a more complete perspective. While Godoy said she learned about the Moroccan culture, the most important lessons she learned were about herself. Olivia is a senior hailing from South Florida. In addition to newspaper, she has worked on the staff of Expressions Literary Magazine and is an editor of Spotlight Yearbook. Additionally, she is co-founder and co-editor-in-chief of Pressing the Future, an online international news organization. She has a passion for both journalistic and creative writing, but outside of the writing sphere she is a cross-country runner and social rights activist.